Jesus Christ will both judge the world in righteousness and save the faithful by grace. This is the focus of this week's Explore the Bible Study: Redeeming Judgement from Revelation 9:1-2. Special Note: Sorry for the delay in posting this. It did not post as scheduled. I also discovered that the video is not working. 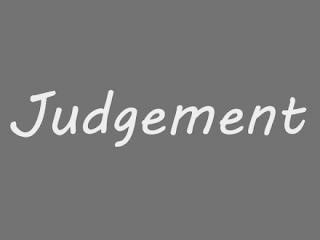 Discussions about judgement are very difficult to have because many don't understand or don't want to understand God's work of judgement. We find it much easier to celebrate the hope and beauty of Heaven and the love of God. But, if sin isn't judged, then Jesus' sacrifice for sin was worthless. Fortunately for those of us who believe in Christ, we have received Christ's payment for our sins through His death, burial, and resurrection, thus avoiding judgement. Sadly, for those who refuse to repent and follow Christ, there is an impending judgement that none can avoid. Revelation 9:1-12 is a challenging set of passages. Please remain focused on the the main theme of the passage and avoid chasing theological rabbits and going down prophetic paths that lead to a destination of speculation. The theme is an emphasis on God's righteous judgement, which ultimately is meant to be an instrument of redemption. God's punishment of sin is terrible and certain, but Jesus rescues those who belong to Him from His judgement. This is a great message! I have provided a video clip below that will help contextualize the reference to the plague of locusts. It is a story related to a recent locust outbreak in Russia.